Paris-Charles de Gaulle Airport, also known as Roissy Airport (or just Roissy in French), in the Paris area, is one of the world's principal aviation centres, as well as France's largest airport. It is named after Charles de Gaulle (1890–1970). 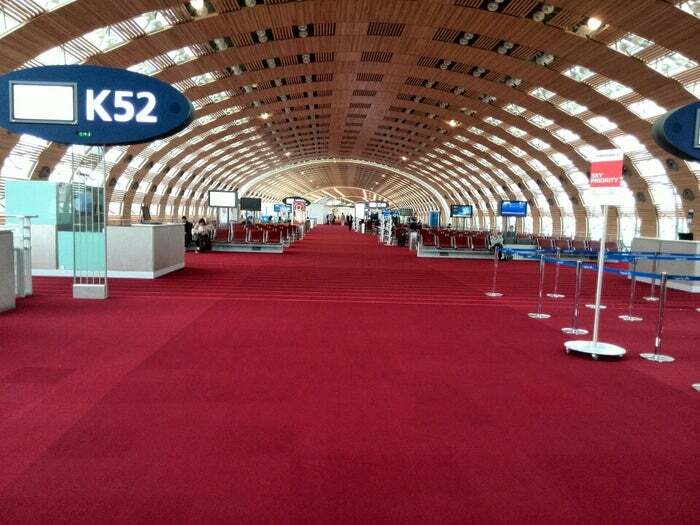 Charles de Gaulle is major airport located in Paris, France and serves domestic and international flights to 1494 different destinations, connecting Paris with Europe, Asia, Africa, North America, South America and Oceania. The most popular destinations to fly to from Airport are London Heathrow Airport, Muenchen, Amsterdam, Frankfurt am Main and Nice Côte d'Azur Airport . The longest flight you can take is to Comodoro Arturo Merino Benítez International Airport (14:28 hours) . Carriers such as Air France, Delta Air Lines and Jet Airways have regular flights to and from Airport. It is also an international/domestic hub for Air France .